. كما يقدم Frisco Serviced Apartments الكثير من الخدمات لإغناء رحلتك في بريسبان. تتضمن الميزات الرئيسية في هذا الفندق: واي فاي مجاني في جميع الغرف, تسجيل وصول/خروج سريع, تخزين الأمتعة, واي فاي في المناطق العامة, صف السيارات. تنعكس أجواء Frisco Serviced Apartments في غرف الضيوف.تلفزيون بشاشة مسطحة, قهوة فورية مجانية, شاي مجاني, بياضات, صوفا هي بعض الميزات الموجود في العديد من الغرف. إن مركز للياقة البدنية, ساونا, مسار جولف - ضمن 3 كم, حمام سباحة داخلي هو المكان الأمثل في الفندق للاسترخاء وتفريغ طاقتك بعد نهار طويل. إن Frisco Serviced Apartments هو مكان مثالي للمسافرين الذين يتطلعون إلى الراحة والاستجمام في بريسبان. يرجى العلم أن مكتب الاستقبال مفتوح من الساعة 8 صباحًا إلى 6 مساءً من الاثنين إلى الجمعة ومن 8 صباحًا إلى 12 ظهرًا أيام السبت والأحد والعطلات الرسمية. إذا وصلت مبكرًا أثناء ساعات العمل فيمكنك ترك الأمتعة في مخزن الأمتعة. إذا كنت ستصل في غير مواعيد العمل المذكورة فيرجى الإبلاغ بذلك عند الحجز وسيتم اتخاذ الترتيبات المناسبة وفقًا لذلك فيما يتعلق بكيفية استلام المفتاح. Arrived at Brisbane late at night. However made use of the kitchen and went to nearby Chinatown and woolworths (5 min away). Could have walked to other side but was too tired (~30min). Apartment was big and bed was pretty comfortable. Balcony door kept making weird sound at night. Pool seems nice but didn’t use it. Can imagine a longer term stay would be nice too. Stayed here for 3 nights, the room was amazing with great facilities. The staff were really helpful and talked to us about the city and getting around, they even let us checkout abit later for free. It's about 10mins walk from the station, but the apartments have a great view Of the CBD, cathedral and park. Wish we were their longer. I have stayed at this property previously and will be again soon. Very clean, comfortable, convenient and has fantastic staff. 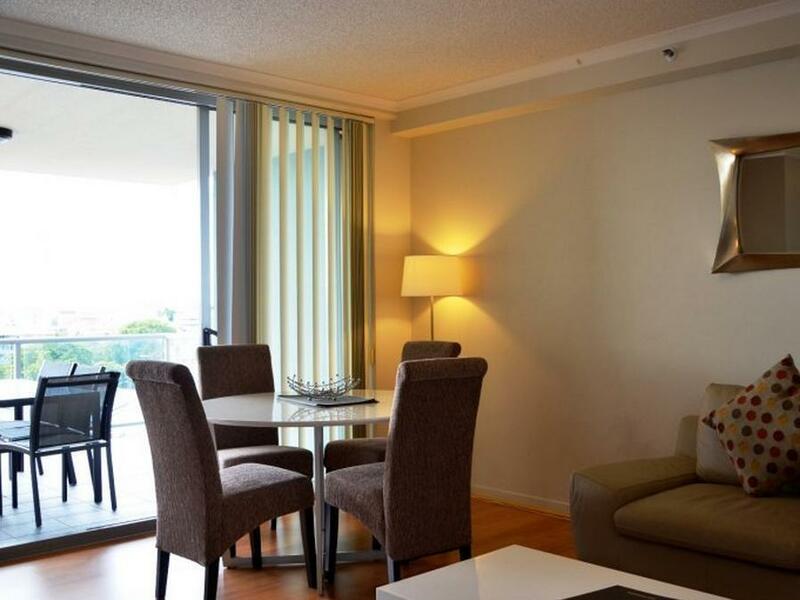 The apartment is modern and spacious, everything you need for a longer term stay is here. Easy walk to city centre, train and bus stations. All is very good and well with apartment. Spacious, complete living conditions. Big kitchen area, balcony, very good wifi signal, simple/nice pool/gym area. Staff are friendly and helpful. Dedicated parking lot if you drive. Setback is a/c is at hall area only. Bedrooms with ceiling fans. Amenities around area is WoolWorth which is about 3 mins walk and Chinatown about 10-15mins walk. Far from city center. Overall, very good place to stay and value for money. The rooms are spacious and toilets are clean. Have all kinds of kitchenettes and it's near to the super market. We've been staying in Brisbane for 6 days and it's the best apartment we've been in. The location is great, just 2 mins walk to the supermarket. Have everything we need in the kitchen, including rice cooker. The rooms are spacious and everything is clean. There's a huge balcony in the room we stayed in. 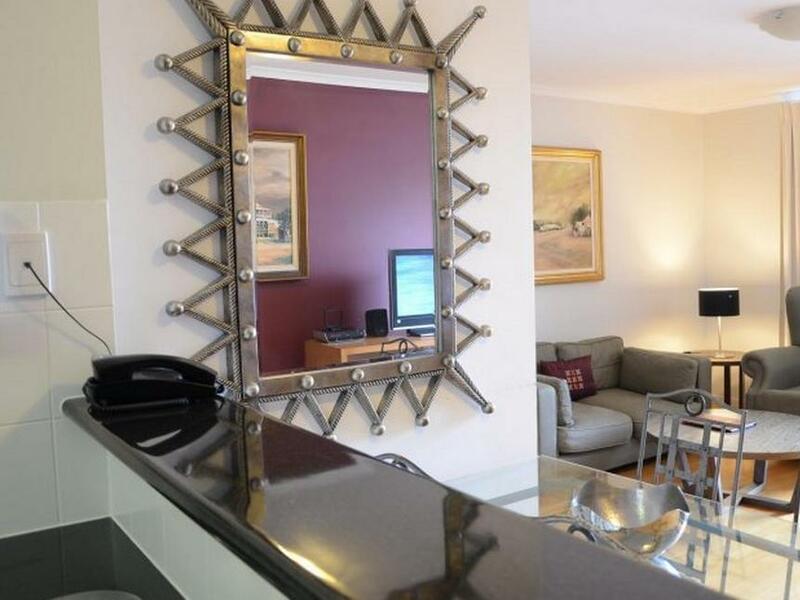 The location is great with easy access and walk-able to anything in the CBD. The Apartment itself is super clean and tidy with everything needed. The balcony is wonderful and the best part is the carparking underneath the building. We had a great stay... the apartment was clean and spacious! We had a comfy bed and a great kitchen, wifi and carparking are free so the value for money is unbelievable as every other hotel charged for these and added $50 onto your bill!! Can I also say the gentleman in reception was very welcoming, informative and lovely!! The staff is nice, friendly and helpful. The location is just perfect. 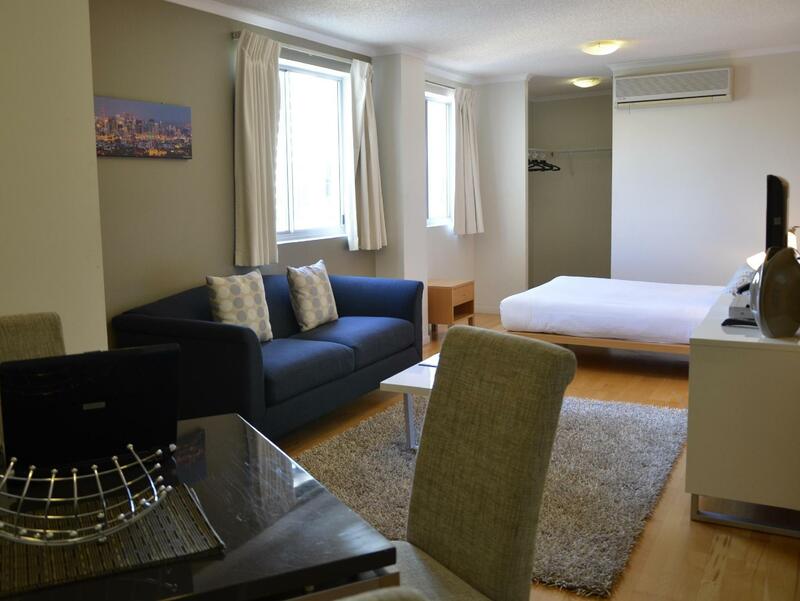 500m from central station; 200m from woolworth supermarket; one block away from the cathedral and nivatas center, perfect for pte candidates and travelers. A little problem: room is clean, the sheet is and cover are fresh, but the quilt is not clean enough and there is a roach spotted in room. Location great walking distance to queens street mall, the view from my apartment is great. There are few down side for me. No aircon on bedrooms and don’t want really to open the windows to get cool breeze. On suits drain smells, dishwasher was full of dirty dishes from previous guest webend up wash it. Pool we didn’t use it chlorine too strong to stay on the room. Other than that all good hope to come back again and hoping some improvements. I do not understand why the reviews are so good. I am staying in room 704. The place is so rundown. The rooms have no air con and it is Super stuffy. The toilets are dirty, don't even use the bathtub. The place is not well maintained. The pool is disgusting and water don't look clear. The utensils, pots and pans are so gross and it wasn't even washed from the previous people staying here. The chairs at the balcony are all broken and not replaced, I almost fell from it. The floor at the balcony is very dirty that your feet gets black after going out there, so wear shoes around the house. The aircon compresser is so noisy and u can even hear it in the living room even though that is located at the balcony. The only good thing is that the carpark is very secured and safe and it is free parking. No words can describe this place. My advice, just top up a little more and stay at a better place. The Apartment is very centrally located, reasonable size and a good and secured carpark. The Apartment, however, provides only weekly housekeeping service. This is acceptable if it is clearly stated in the details, but it is not. So I personally found this is very misleading. For a family of 4 like us, I will have to spend at least 30 mins very morning to do the housekeeping before we can leave home. The apartment is reasonably spacious, but I wouldn't come back again for its old kitchen and bathroom outfit. I found a few previous comment saying it's "Exceptional" very misleading, and I personally started to wonder whether these comments in Agoda is trustworthy! All in all, I wouldn't recommend it to my friends. My parents, siblings and I stayed for a week at the Frisco Service Apartments in a 2-bedroom. Beautiful balcony, view, great rooms, great beds, the kitchen was great for cooking out meals. I loved all the amenities, free wifi, aircon. There is a gym and pool and it's only 10 mins to the city centre, 5 mins walk to the central station. Absolutely loved the size of the apartment for the price we got. Well worth the money and loved my stay there that we extended for 3 extra nights. Stayed two nights, great location for us. Staff were very friendly and helpful. Enjoyed a free car spot too. Pool was too cold and didn't seem to be heated although the sauna was great! The place was reasonably clean however there was toilet paper in the toilet and the toilet brush holder was 1/2 full with water (yuk) and my son was super excited as he found $2 on the lounge! There wasn't any blankets on the bed although there was a light blanket in the cupboard. If your happy to sleep with the heater on all night that would be okay but it's in the lounge room. It did have everything we needed for a short stay. The staff were accomodating when asked for a late check out. Overall we got a great location, great price and staff were friendly.